An Altec Lansing multicell horn in place of the integral horn on the classic design. That looks incredible, really commands the room! 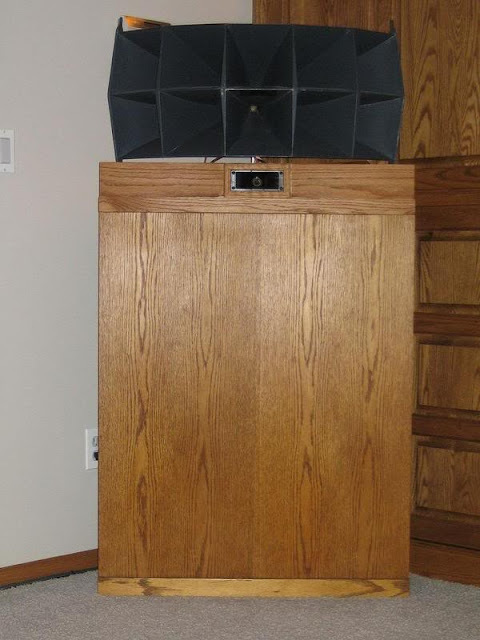 This entry was posted in Music, Speakers, Vintage and tagged altec, hi-fi, k horn, Klipsch, klipschorn, lansing, massive, multicell, stereo, tweeter. Bookmark the permalink.